Daniel Sellers decided to surprise his wife with a Princess cruise to the Caribbean. After he confirmed that his spouse could cruise with just a passport card, he booked their tropical vacation. As it turned out, he was the one in for the (unpleasant) surprise. This case is an unfortunate example of what can go wrong if you decide to cruise with just a passport card. Things may go just fine. But you should consider what will happen if you miss the boat and need to take a flight to catch up with it. Because although you can cruise with just a passport card, you can’t fly anywhere internationally with one. Ok, so far so good. Of course, if the couple had made it to the port in time, you wouldn’t be reading about their experience. The problems started when a mechanical delay hit their JetBlue flight to Fort Lauderdale. This delay was disappointing, but all was not lost(yet). Princess Cruises agreed to allow the couple to board the cruise in Montego Bay. And JetBlue would transport them there. That is if they both had the required ID to enter Jamaica. Sellers wife only had a passport card. And that’s when the reality hit. The couple would not be enjoying a tropical vacation after all. They were going home. Although Princess Cruises strongly recommends passengers travel with a passport, its terms and conditions clarify that it is possible to cruise with just a passport card — with considerations. 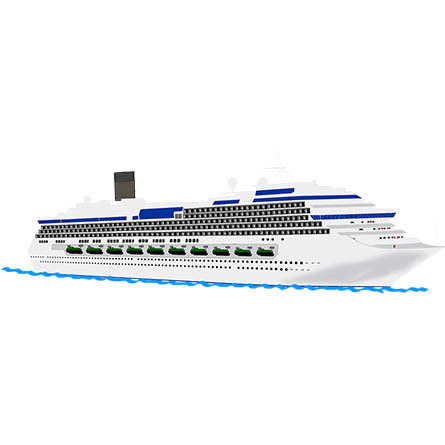 Although US and Canadian passport holders are not currently required to sail with a passport on most domestic itineraries (including Alaska, Bermuda, Canada, Caribbean, Hawaii, and Mexico and Panama Canal), Princess Cruises highly recommends they are carried. Even if your cruise does not involve air travel outside the US, should you be required to unexpectedly depart a vessel prior to the end of the sailing, a passport would be required to re-enter the US by air. As such, Princess Cruises continues to strongly recommend that all guests are in possession of a valid passport. 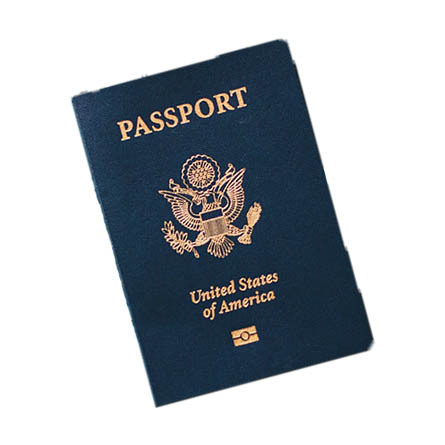 What is the US Passport Card? The US Passport Card can be a handy little form of ID — especially if you frequently cross our northern or southern borders by ground or sea transportation. It’s a REAL-ID compliant, credit-card-size identification that can also be used for domestic air travel. Who is responsible when a passenger does not have the required ID for travel? Without fail, each month our advocacy team’s helpline receives several requests for assistance from travelers who have found themselves without the correct documentation for entry to their intended destination. We’ve had quite a few memorable cases in recent times. One involving a parent who believed a passport card would be sufficient for her baby to enter Mexico by air, and another from a mom who thought her daughter could use a printout from Ancestry.com as valid ID to cruise to Canada. As you could guess, neither of these cases turned out favorably for the travelers. At the risk of sounding like a broken record, it’s always the passenger’s responsibility to possess the required documentation for travel. Every airline and cruise line writes this fact into its terms and conditions. Using our company contacts for JetBlue and Princess Cruises, Sellers presented reimbursement requests for all of their expenses. Although JetBlue refunded the airfare, it denied any additional financial relief to the couple. Citing its terms and conditions, which point back to the traveler’s responsibility, Princess Cruises similarly denied the couple’s compensation claim. Ensures you’ll get your cruise if flights are delayed or canceled, and we’ll get you home if for any reason the cruise or Princess transfer cause you to miss your return flight. Pointing to the flight delay that caused the domino effect that led to the need for the passport, Coward asked for reconsideration of the couple’s claim. As a result of Dwayne’s outreach, Sellers received a final word from Princess Cruises. It reiterated that it is always a traveler’s responsibility to know and possess proper travel documents. The Princess representative pointed out that if the couple had purchased trip insurance, they might have been able to recoup some of their losses. This employee also recommended that Sellers check with the credit card that he used to purchase the cruise to see if they might have some type of basic trip insurance that will cover this event — Princess Cruises will not. And, unfortunately, with that, this case is sunk. Who should bear the financial hit for this missed cruise?